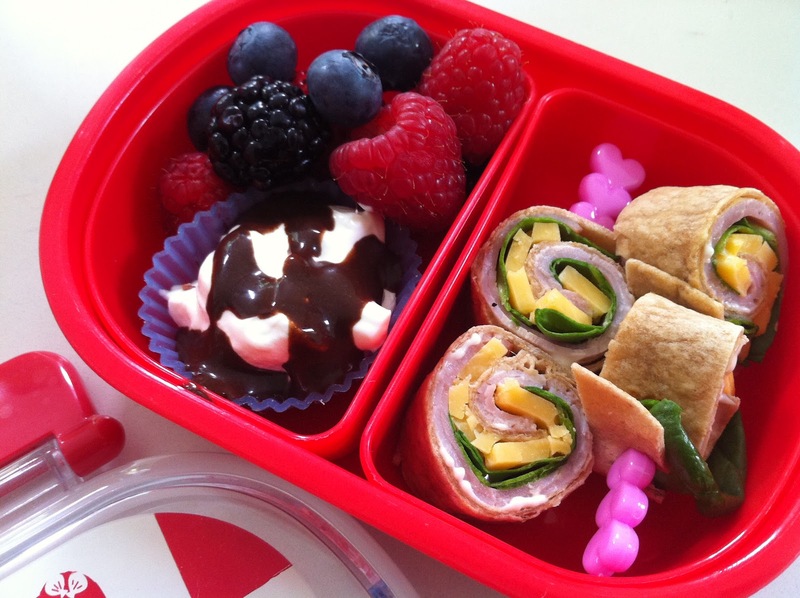 Pinwheels & Berries (Lunch Box for School) | what is clara eating today? Clara is on 2:1 ratio currently, so I’ll post some examples of what she takes to her school to help you come up with ideas. Even though these are 2:1, when Clara was on 3:1, I just added chocolate “milk” as her drink instead of water. Very simple. Spread 1/2 of mayonnaise all over the tortilla. Spread spinach and ham. Spread rest of the mayonnaise and top it with the cheese. Roll the tortilla tight, making sure all the ingredients are staying in place. Cut it into four portions.